When planning a large event, it can sometimes be difficult to determine what kind of entertainer is best. A list of comedians would be helpful. 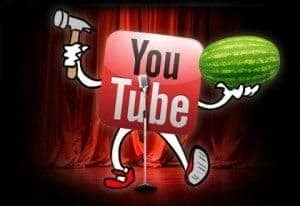 This certainly varies by the nature of the event, but one of the most versatile choices can be found in our list of the funniest clean youtube videos. Laughs can be universal, and their work puts them in front of a variety of audiences every night, giving most the ability to adapt quickly to your needs. Of course, the one consideration for stand-up comedians is the kind of content they perform. Many comedians have trained to adapt their material for a general audience, particularly if they’ve landed on television at any point. However, there are various styles of comedy, and it will be up to you to determine which will play best with your guests. Thankfully, the age of the internet collided perfectly with the comics’ naturally need to be noticed, leaving plenty of lists of comedians to browse. In that spirit….here is another list of comics! Some of the funniest clean YouTube videos presented here are examples of available entertainers for hire. The featured people provide entertainment that is suitable for the entire family. The humor found in situations that are sometimes difficult is strengthening. These comedians make the audience laugh about parenting, marriage, relationships and more. Each of these performers entertains without being vulgar. They use personal life experiences to share what they have learned. Their audiences easily relate to the ordinary events that are the topics of their humor. Audiences laugh as the comics strike chords that pertain to everyday life. Any person or group looking for an entertainer for a planned event may want to enlist the help of the people featured here. They are award-winning performers who have experience with live audiences, radio, and television. Worry about offending anyone is not a problem. The clean comedic observational humor they present will cause nods of agreement and belly-shaking laughter. Ron Pearson is talented, captivating and funny. He entertains studio audiences for top comedians such as Ellen, Drew Carey, Tony Danza, and Bob Newhart. Hollywood and top corporations such as Miller Beer, Toyota, Verizon, Pepsi Cola, Hewlett Packard and Motorola hire him to entertain. His brand of “High Powered” comedy makes him a favorite of not only his family, but TV show audiences, corporate events, and comedy clubs. Sinbad strives to live up to the characteristics his name implies, optimism, adventure, and strength. He named himself. He wants to hang out with both kings and rogues. Sinbad was not as strong as Hercules but outwits everyone. That is a goal for this performer. He grew up telling jokes to his siblings, acting stupid and willing to pay the price to get a laugh. Sinbad’s journey as a comedian began with his “Poverty Tour” in 1983. He is among the best black comics of the day. His material is part of the funniest clean YouTube videos. Bob Nelson starred in a children’s show that he wrote. The show won an Emmy Award. Since that time, he had a supporting role in the film by Nora Ephram entitled This Is My Life, Ivan Reitman’s Kindergarten Cop, and Brain Donors by the Zucker Brothers. Bob was the opening act for Rodney Dangerfield in Dangerfield’s heyday. The character routines he performs are among the finest one-man shows on the modern stage. Having appeared on Letterman is like a badge of quality for any comic you are looking for, and Keith has it. With a smooth, sardonic style, he delivers a healthy mixture of keen observation and absurd exaggeration. His spontaneous interaction with the audience, too, has helped him build a quietly loyal following wherever he appears. He tours regularly and also makes a special effort to perform in shows for the armed forces. Over 30 years in stand-up comedy can be difficult to maintain for even the most seasoned pro. Ross Bennett makes it look easy. After a brief stint in the military, Ross quickly decided that he would rather be firing jokes than bullets. Three decades worth of television and comedy club audiences are certainly grateful for his choice. Bringing down-home sensibilities to the hustle and bustle of everyday life, Ross seems determined to find the gentle humor that a less-experienced comic will trip over on the way to a lesser punchline. Skirting the line between flash and substance can be difficult, but Tom has run that tightrope across television sets and major comedy venues for over 20 years. Perhaps best known as the runner-up in the seventh season of America’s Got Talent, Tom has proven that he has broad appeal and an active approach. Delivering edge without too much bite is an art form, and Tom seems to spend every year mastering his craft. Married to fellow comedian Kerri Louise, Tom shows no signs of stopping in his quest for our laughs. Cotter should always be on your list of comedians to book. Born and raised in Knoxville, Tennessee, Henry quickly realized he had a unique perspective to share with the world. Of Korean American descent, Henry revels in the confused expectations of his audience. From his first spot on the Jay Leno show, all the way back in 1992, Henry was fully aware of how his appearance clashed with his deep southern drawl…..and he has spent the ensuing decades proving that to be only the start of his comedic toolkit. From film to television, Henry seems intent on surprising audiences at every turn. Another, perhaps more conventional-looking southern gentleman, Rik has spent 20 years honing a stage and corporate show that delivers the goods. His wide-eyed, innocent face serves his easygoing stand-up perfectly, and also presents an opportunity to offer a range of characters. Bumbling, hopelessly-clueless characters he loves using at corporate events to fool his audience, before launching into the rest of his act. Rik shows the heart and works ethic that any working comedian should have. A clean comedian that wears the moniker “village idiot” with pride, Joby seems physically incapable of controlling his desire to make audiences laugh. With the facial gymnastics of some Jim Carry/John Belushi hybrid, Saad has built his act and understanding of comedy over 20 years. Spending time in the company of the likes of Tim Allen and Jeff Foxworthy, Joby has honed a unique style that stays clean despite being steeped in abject absurdity. Still touring, he shows no signs of giving up his “village idiot” moniker, and that is just how he likes it. Getting a jump start on performance at an early age, Taylor Mason would often accompany his television broadcasting father to speeches and presentations, naturally developing as the reliable comedic relief. Before long, though, he found audiences of his own with a range of talents. Winning “Star Search” with Ed McMahon in 1990 for his musical/ventriloquism act, Taylor found himself and his career boosted to new heights. More impressive? The steady, methodical way that he has grown and honed that career over the ensuing decades. The comics understand the perseverance, work, and love needed to keep relationships and marriages healthy. The fearlessly share their success methods by injecting humor. They show many approaches to life’s situations. All contain the element of levity. By addressing topics that bind humanity, people can laugh at themselves. These comics are comedians who believe great acts are clean acts. They allow audiences to see a laughable side of life. The irony is the backbone of the day-to-day situations they present in the funniest clean youtube videos. So there it is! Funny comedians…doing what they do best. The job of making people laugh is difficult. Hours skew late; travel is extensive, and there are few guarantees. These comics have proven time and again that not only is it possible to make a living from laughs, but it is possible to keep those laughs open to anyone and everyone that books them. A difficult task that they make seems supremely simple. Spreading joy to an audience is a gift, and luckily for all of us, these comics are still delivering.